VANCOUVER, BC--(Marketwired - June 16, 2015) - Geoscience BC is pleased to announce that SkyTEM Canada Inc. has been selected to fly the 2015 Peace Project Phase I airborne electromagnetic survey over northeast British Columbia's Peace Region. 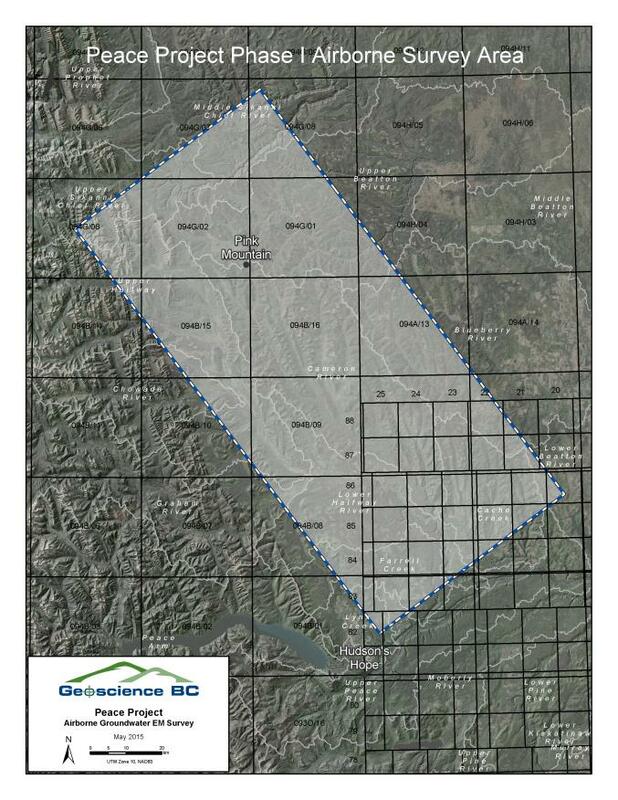 The Peace Project will generate new information about groundwater that will facilitate its protection, initially within an 8,000 square kilometre region that stretches from Hudson's Hope and Fort St. John northwest to between Pink Mountain and Trutch. The Phase I airborne survey component of the Peace Project is expected to start in mid-July and depending on weather, will take approximately 40 days to complete. 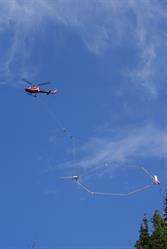 SkyTEM is a helicopter-borne geophysical system designed specifically to map aquifers. The Danish Ministry of Environment developed SkyTEM in the late 1990s to collect the data necessary for making critical decisions about the protection and sustainability of the country's groundwater resources. Since then, SkyTEM's mapping solutions continue to be recognized globally and clients include the US Geological Survey (USGS), the BRGM (Government of France), CSIRO and Geoscience Australia, as well as Departments of Water in India, Thailand, Germany and Belgium. Bailey Helicopters Ltd., headquartered in Fort St. John, has been retained to fly the SkyTEM system for the Peace Project airborne survey. A PBS video on SkyTEM technology for mapping aquifers can be seen at skytem.com/skytem-aquifer-mapping. The Peace Project was announced in March 2015 and is a collaborative effort that will help to increase our understanding of surface and groundwater resources in the Peace Region. Peace Project partners include the BC Oil and Gas Commission, the BC Oil and Gas Research and Innovation Society, Conoco Phillips Canada, Progress Energy Canada Ltd., the Province of British Columbia, and the Northern Development Initiative Trust (NDIT). For more information about the Peace Project, visit the project page at geosciencebc.com/s/PeaceProject.asp.